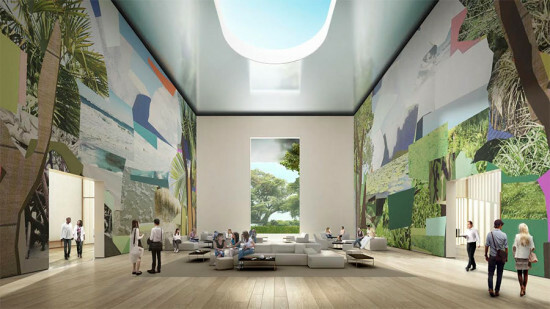 The Norton Museum of Art in Palm Beach, Florida has unveiled a new master plan including galleries and public spaces designed by architecture firm Foster + Partners, under the direction of Pritzker Prize-winning architect Lord Norman Foster. The new Foster design will upgrade the museums 6.3-acre, art deco–inspired campus and gardens first designed in 1941 by Marion Sims Wyeth. The new plan relocates the main entrance on South Dixie Highway to the west, allowing visitors to once again see through the entire building, capturing views of the Intracoastal Waterway beyond the Norton via a new, transparent grand hall and refurbished glass and iron courtyard doors. The new entrance will be defined by three double-height pavilions, unified with the reworked existing wing by a shared palette of white stone. These pavilions will house a new state-of-the-art auditorium, event space, and a "grand hall"—the social hub of the Museum. Foster's design includes a new museum shop and restaurant with al fresco garden seating which, like the new pavilion spaces, can operate independently of the Museum for events on the Norton’s campus throughout the day and at night. A metal roof canopy will float above the pavilions, shading the entrance plaza. The canopy structure will be gently tapered to visually reduce its profile—a technique he previously employed in Marseilles, France—while providing stability to withstand hurricane-strength winds. The canopy’s gentle luster will cast diffuse patterns of light in an abstracted reflection of the people and flowing water below. A linear series of pools with fountains and a row of hedges between the pools and Dixie Highway will mask the sound of traffic and create a tranquil setting at the entrance plaza. A curved opening in the roof will accommodate the branches of a mature ficus tree and a light well above the lobby will illuminate and define the new entrance. 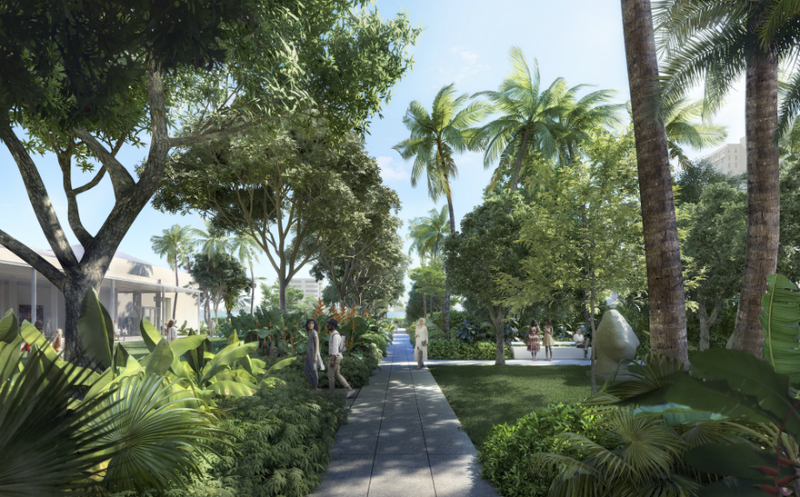 The master plan will be implemented in several phases, beginning with the reconfiguration and extension of the existing museum and the new public amenities within a lush garden setting. 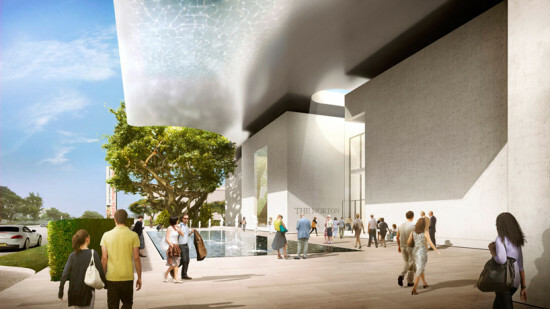 Two new wings for galleries can be added to the east in later phases of the long-term master plan.